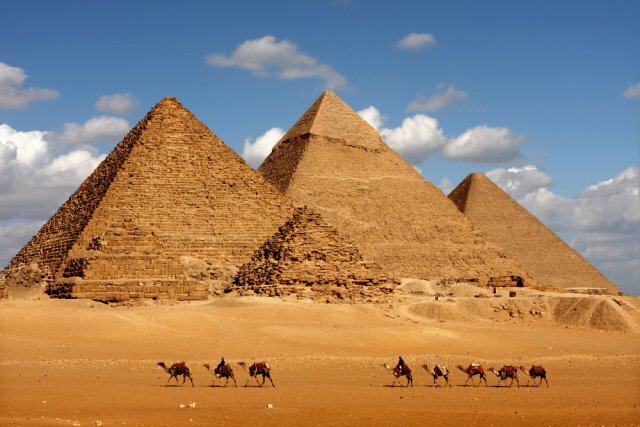 Egypt is the oldest tourist destination on earth. Ancient Greeks and Romans started the trend, coming to goggle at the cyclopean scale of the Pyramids and the Colossi of Thebes. Today, the most popular places to visit are not only the monuments of the Nile Valley and the souks, mosques and madrassas of Islamic Cairo, but also fantastic coral reefs and tropical fish, dunes, ancient fortresses, monasteries and prehistoric rock art. The land itself is a freak of nature, its lifeblood the River Nile. From the Sudanese border to the shores of the Mediterranean, the Nile Valley and its Delta are flanked by arid wastes, the latter as empty as the former are teeming with people. This stark duality between fertility and desolation is fundamental to Egypt’s character and has shaped its development since prehistoric times. The result is a multi-layered culture, which seems to accord equal respect to ancient and modern. The peasants of the Nile and the Bedouin tribes of the desert live much as their ancestors did a thousand years ago. Other communities include the Nubians of the far south, and the Coptic Christians, who trace their ancestry back to Pharaonic times.